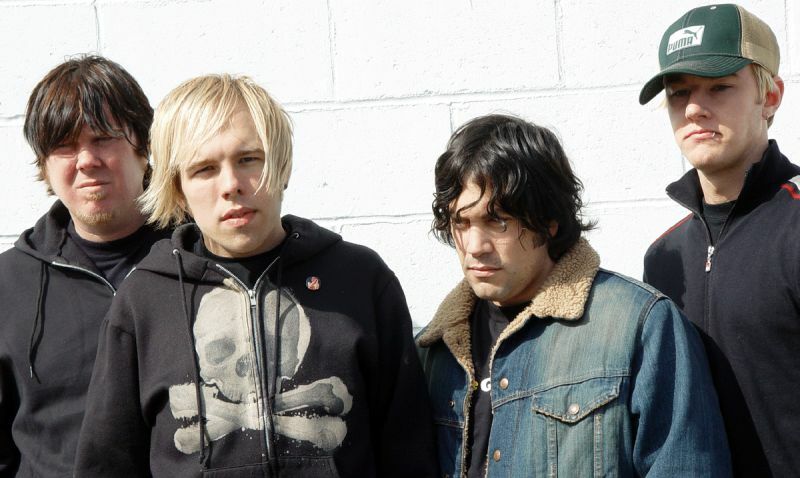 One day in February, whilst randomly looking up bands that are playing in Toronto on last.fm, Mink notices that The Ataris are coming to town. 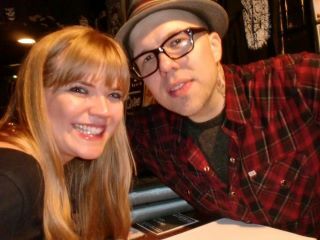 The Ataris! Yes! Run your hands through that gorgeous tousled mop! 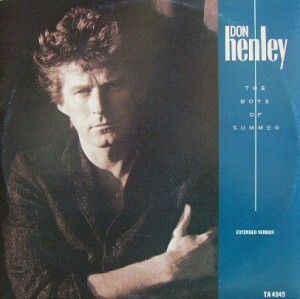 Anyway, this is one of Mink’s favourite bands from high school. I profess to know nothing about The Ataris other than when this song dominated the radio for a summer, but who am I to judge high school music obsessions? These guys had an embarrassingly large number of plays in my CD player and held a special place in my angsty, 14-year-old heart. 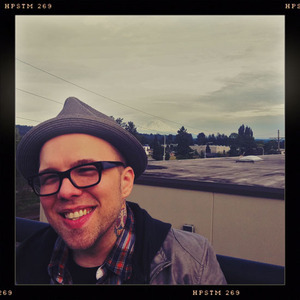 Thus, I cannot deny Mink her eager request to see The Ataris – although, to be more accurate, we are actually going to see the lead singer, Kris Roe, accompanied by his most recent collection of ever-shifting band-mates. We stop by The Legendary Horseshoe Tavern after work one day to inquire about tickets, and to make sure that this is the actual band playing and not some lame cover band. We step up to the bar, apologetically disrupting the motley crew guzzling their 5-o’clock pints with gusto. Low and behold, the bartender reveals, there are only two tickets left! The woman sitting at the bar half a foot away from me – who looks to have had an intimate relationship with a number of crack pipes over the years – twists her lanky body towards us and rasps, “It’s like fate! You have to get them, man!” What mere mortals can deny fate’s eerie summons, especially when it is echoed by such a convincing mouthpiece? We buy the tickets. My new friend flashes me a vague, crooked grin and nods her approval. The night of the concert, Mink can barely contain her excitement. We drink gin and tonic as she outlines an ambitious plan that involves being in the front row, meeting Kris Roe and snagging the set list. This will be child’s play, I assure her. We get to The Horseshoe early enough that they haven’t opened up the back venue section yet. This bar, for the uninitiated, is a great little spot at Queen St. West and Spadina. I wrote about my friend Bethany’s band, This Ship, playing here back in November, which was awesome. 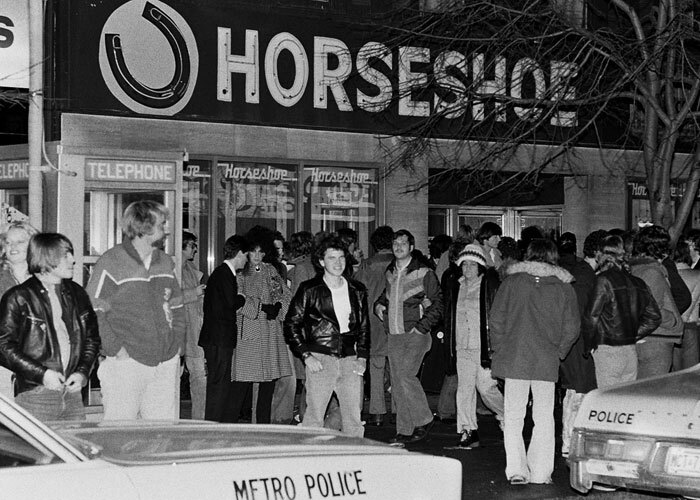 The Horseshoe is a grungy, intimate venue that can accommodate both the veteran bands that want to play to a smaller crowd and the eager up-and-comers. The Horseshoe in 1978. Back then it was already ballin'. And likely shot-callin'. The crowd tonight strays more towards the punk end of the spectrum, as The Ataris are one of the opening bands for The Queers. This band sprang into existence in the ‘80s and has been around ever since. Their front man, Joe Queer, is a legend. Their sound seems to be a mix of The Ramones and The Beach Boys, according to random people on the internet, although I have never been much into the punk scene and can’t really write this with conviction. 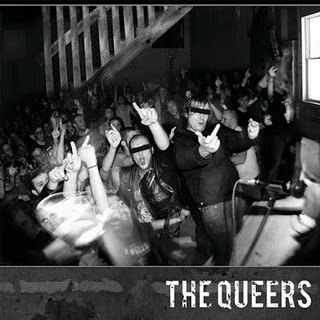 I listened to The Queers’ Back to the Basement (2010) before the show and, while I don’t think the album is accomplishing anything mind-blowingly innovative, it is irreverent and easy to get into. Sometimes you just want a little punk rock playing innocuously in the background as you wonder what the hell you’re doing with your life, amirite? The back section of the bar is finally opened up to patrons. We grab a round of fortifying G&Ts and get in line. One of the opening bands, The Unbelievers, has a pint-sized lead singer with an amazing voice and crazy guitar skills. Her voice reminds me a little of the lead singer from The Distillers, which also heralds nostalgia for high school music. The bassist keeps things in control for a while, managing to hold fast to that famed bassist mystique until his façade crumbles into enthusiastic head bopping and back-up vocals. The drummer lets herself dissipate into the music, thrashing on her drum kit like a wild thing. I dig their sound. The next band, Far From Finished, is energetic and immensely pleased to have this crowd in front of them. For some reason I also want to say they seem earnest. And also very, very, sweaty. Throughout their set, we make our way to the stage with little fuss from a few middle-aged punk rockers. And suddenly there, one foot away from us, is Kris Roe, drinking Vitamin Water and setting up his equipment just like a regular ol’ dude. The crowd shuffles forward towards the stage as the band tests the amps. Standing immediately behind us are three very enthusiastic 20-year-olds who have driven up from Buffalo to see The Ataris. It turns out that one of them is a huge fan, like Mink, while the second one literally only knows the “Boys of Summer” cover, like me. The third guy is just straight up wasted, since the U.S. has a silly law that you can’t drink until you turn 21. The concert is a smashing time. Kris Roe almost smashes me in the face a couple of times with his guitar, actually, and I can’t help but think it would look kind of cool to have fret imprints on my cheek for a few days. The scar tissue wouldn’t really be worth it, though. Afterwards, I grab the set list even though #1 Ataris Fan from Buffalo has already called it. He concedes it reluctantly (but beneficently!) to Mink, after admitting to us that he’s already seen the band a couple of times so it’s no big deal. Girls get away with this kind of sly maneuver all too often. Mink is hesitant to wait in line to talk to Kris, but after a bit of convincing she manages to hold herself together for an excellent photo with him and to tell him she’s been listening to The Ataris for half of her life. I gain a lot of respect for him after seeing him interact with his fans. It’s just nicer when musicians (or people in general, for that matter) aren’t douchebags just because they are famous. Musicians, take note. We listen to The Queers play their first few songs, but the night and the next round of plans are calling. After we leave The Horseshoe, we meet up with my siblings, D & L, who are both visiting Toronto for the week/end. Our three American friends tag along with us to a chill bar called Gabby’s for a couple of pitchers and some catching up before the night ends. All is well until suddenly Buffalo #3, the intoxicated one, gets that glazed look on his face that more seasoned drinkers will recognize immediately as trouble. Our waiter, champion of the inebriates that he is, manages to swing a garbage can over to our table so our new friend can forcefully expel a fearsome river of puke that seems to last forever. The situation is a little awkward, but mostly hilarious. Drunk guy’s friends struggle to drag him out of the bar and into a cab, nice dudes that they are. They promise us that he’ll be fine, other than the wicked hangover he is guaranteed for the morning. Ah, the carefree puking of youth. Our experience seeing The Ataris is thus a night of nostalgia, on many levels. Thanks, Kris Roe, for a lovely evening at The Horseshoe! Hi! This is really random, and you don’t have to do this, but I’m from Singapore and Ataris is playing here soon. I just wanted to know what kind of setlist they would play when they’re here, and I couldn’t find any more recent set lists online. 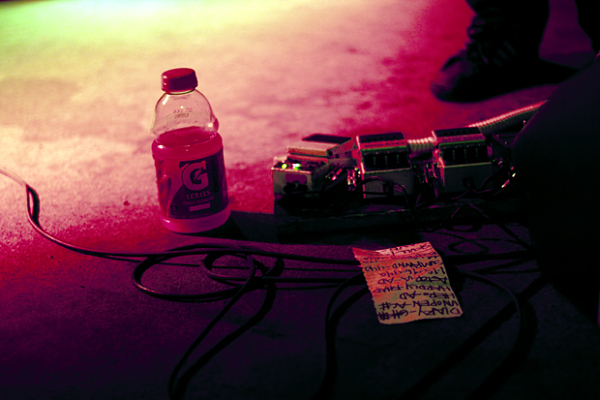 I’d love if you could take a couple of seconds to type up the setlist you snagged! THANKS!